Vice-Chancellor Helen Dannetun has nominated Margareta Bachrack Lindström, pro-dean at the Faculty of Medicine and Health Sciences, as deputy vice-chancellor after Roger Klinth. The formal decision will be taken by the University Board on 13 February. Deputy Vice-Chancellor Roger Klinth will be leaving his post during the spring to become the vice-chancellor at Ersta Sköndal Bräcke University College. “Roger has been a huge asset for LiU with his huge capacity for work and ability to collaborate. We wish him all the best in his new job. It’s highly gratifying that we can appoint such an extremely capable replacement so rapidly”, says Helen Dannetun. 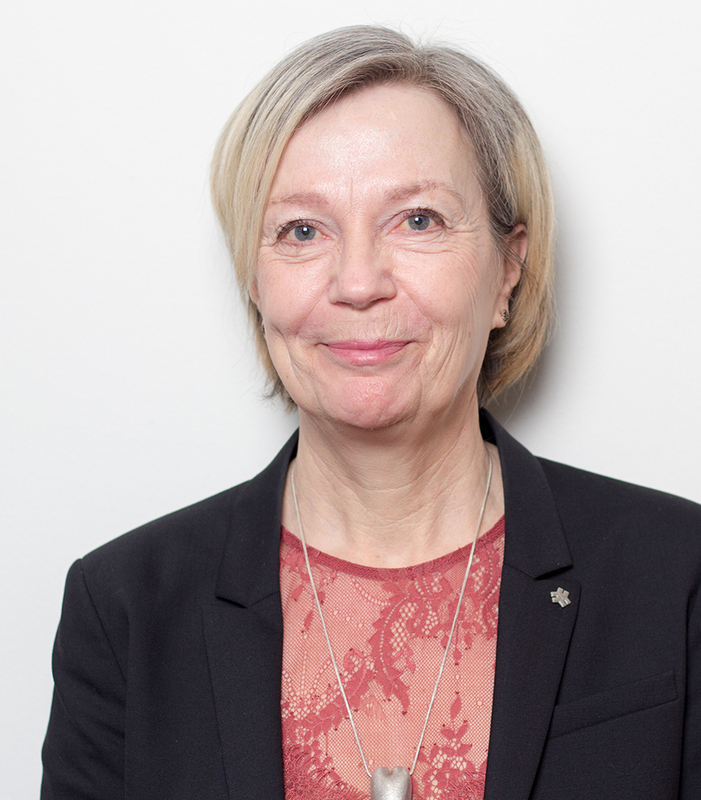 Margareta Bachrack Lindström has been nominated as the new deputy vice-chancellor. She is currently associate professor, has a background in the nursing profession, and long teaching experience from Linköping University. She took her doctorate in 2000 and her research has covered such topics as diet and the quality of life. One area she has studied, for example, is the attitudes of healthcare personnel when dealing with the eating habits and nutrition of older patients. She has been pro-dean at the Faculty of Medicine and Health Sciences since 2016 with a focus on quality, the development of teaching, and the clinical training of students, the latter in collaboration with Region Östergötland and the municipality of Linköping. She is looking forward to continuing to work with exactly these questions, but in a new role. “It’s going to be amazing fun. When the vice-chancellor called me, I must admit that I was rather surprised: I thought she wanted to talk about the structure of the departments in the faculty. But it’s really nice that people believe in me, and that I get the chance to continue to work with ‘my’ issues: quality and teaching methods. Now, however, I’ll be working with a more overall view”, says Margareta Bachrack Lindström. Margareta is chair of the Education Board and the steering group for Clinicum, and a member of the advisory council for medical expertise. For two years she was director of the then newly established Didacticum, which had been created as a centre for teaching and education at the university. She has also been involved with work at the university with quality assurance of the programmes and courses given. Just as in many other fields, higher education is affected by the digitisation of society and new technology, and the fact that knowledge is evermore readily available. It is also affected by an increased need for evidence-based knowledge in an age when unconfirmed “facts” are spread faster than ever before. “On the other hand, We see that the education we offer must improve and become broader. It’s a case of specialist education, further education for lifelong learning, and more flexible forms of education in which, for example, students don’t need to be on campus all the time”, says Margareta Bachrack Lindström. In addition to having principal responsibility for education, as deputy vice-chancellor Margareta will act as deputy for the vice-chancellor in several contexts, chair the Disciplinary Board, participate in the Vice-Chancellor’s decision meetings, and take a seat on the University Board. A decision about the appointment will be taken by the University Board on 13 February, and Margareta will take up her new post as Roger Klinth leaves LiU in February.